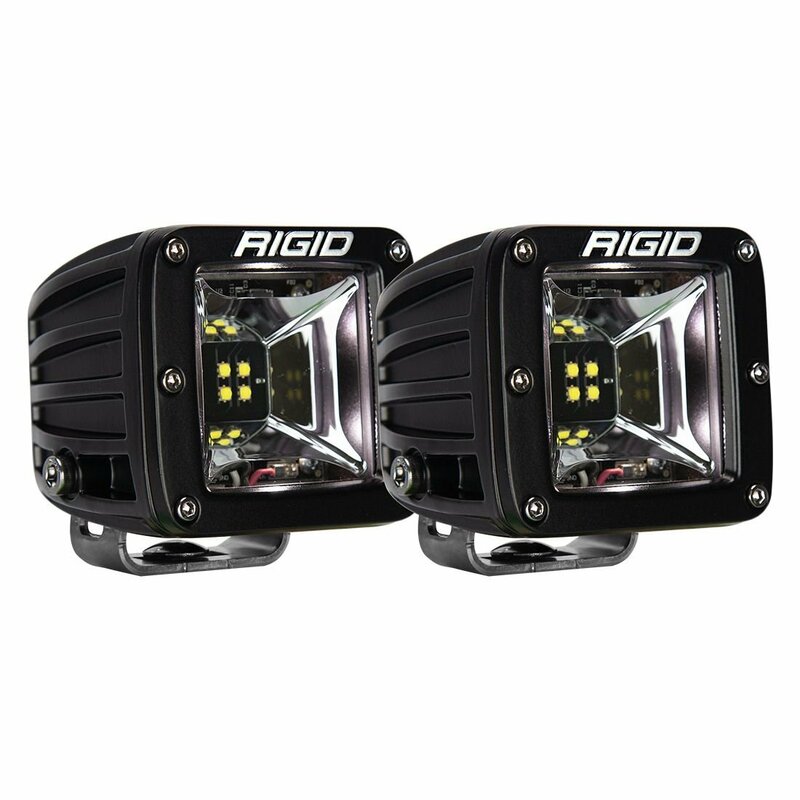 When looking for LED lights to help you out on the trails in your Jeep Rigid Industries always provides you with top-notch quality lights. 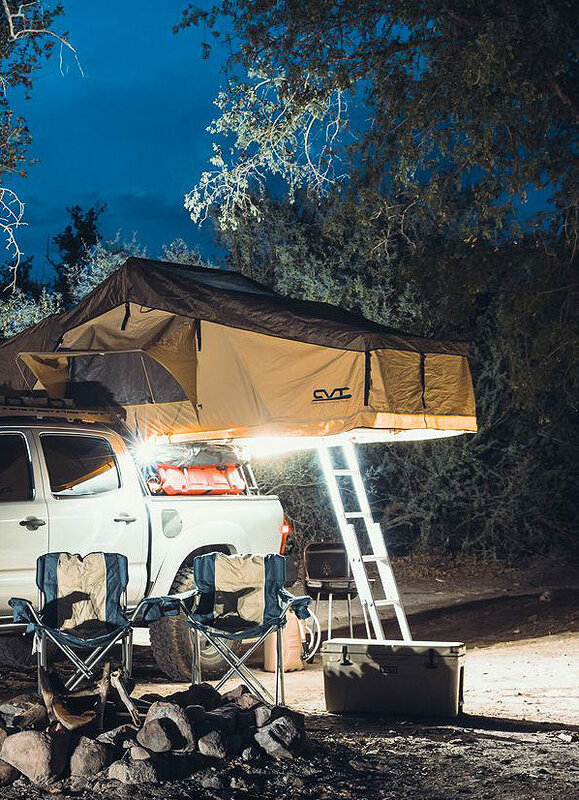 The same can be said of their Radiance Pod Scene Lights to help light up the night for you on your next off-road adventure. These LED lights are built with high-grade aluminum alloy housings just like their D-Series lights and use the latest LED technology while incorporating a thermally optimized heat sink. These lights give you amazing coverage with a 100-degree horizontal spread of clear, crisp bright light with minimal amp draw. Comes in flush mount & surface mount styles with your choice of colors in white, green, amber, red or blue. Designed for scene/work/close to vehicle use and not forward lighting for use while driving. Surface Mount vs Flush Mount: With surface mount lights you can attach them to things such as light bar mount, a-pillar mount or bull bar mounts. Flush mount lights are good for rear or front bumpers that have cut outs in them where the light would mount flush to the bumper. Features: High grade aluminum housing for protection & 100 degree horizontal spread so you can see all of the trail at night. 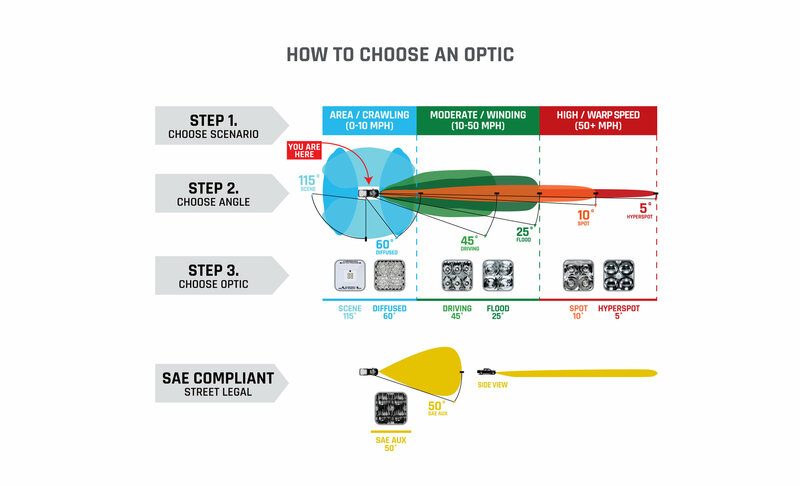 These lights provide clear bright lighting while using minimal amp draw and have a black exposed printed circuit board along with forward projecting optics to optimize light output and back lighting. Custom Look: With the different styles and variety of colors to choose from you can be sure that your Jeep will stand out from the crowd while providing your with quality LED lighting.